See also photos from the Croatian embassy’s visit to Pleasant Land. 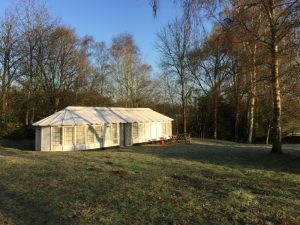 As of 2017, pre-booked visitors are warmly welcomed at the new Oscar Nemon Studio Museum and Archive at Pleasant Land near Oxford. Nemon lived and sculpted here from the 1940s until his death in 1985. Famous for his portraits of Churchill and Freud, and originally from Croatia, Nemon came to Britain as an émigré, and then Jewish refugee, in the 1930s. The Nemon Studio Museum is surrounded by trees and fields off a quiet lane on Boars Hill, twenty minutes drive from the centre of Oxford. 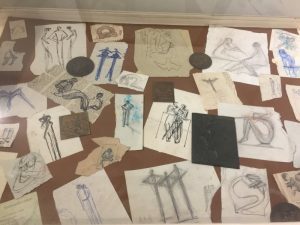 The Studio hosts a recreation of Nemon’s working studio, where visitors can learn how sculptures are made and cast. There is also a display of his works from 1925-39, when Nemon lived in Vienna then Brussels. 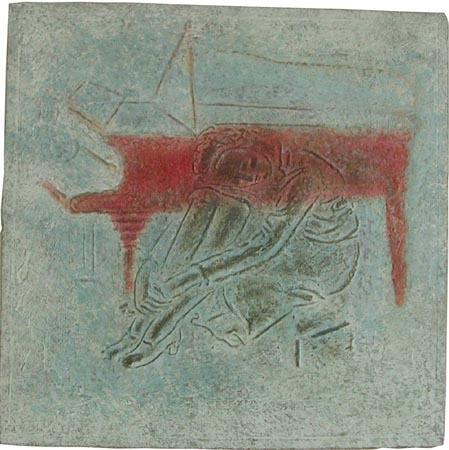 Nemon sculpted Freud and Lindberg during this period, and experimented with Symbolism, Cubism and Constructivism. 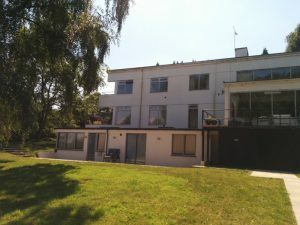 The Nemon Archive is sited in an extension to Nemon’s former home, Pleasant Land. This dramatic, modernist house rises between the trees of its wild garden. The Archive displays and stores drawings. reliefs, correspondence and other materials, as well as those works which do not form part of the current themed Studio exhibition. 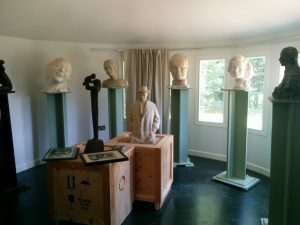 Hand cast resin and bronze resin busts of Churchill, Freud, Montgomery and Winnicott are on sale to raise funds for the upkeep of Nemon’s works, along with a selection of bronze medals re-cast from 1930s originals. Visitors can enjoy tea or coffee and biscuits in the garden or within the Nemon Studio or Archive. Parking is available on site. The Nemon Studio Museum is accessible to disabled visitors, and the Archive has a single step, negotiable via a ramp. Please raise any queries regarding access beforehand. The Nemon Studio is run by volunteers and all visits must be pre-booked by emailing alice@oscarnemon.org.uk. 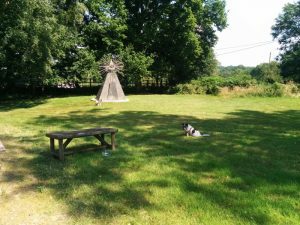 There is no charge for visiting, but donations towards the upkeep are gratefully received. Address: Pleasant Land, The Ridgeway, Boars Hill, Oxford OX1 5EY. Getting there: For visitors without cars, there is no longer public transport to Boars Hill, but taxis can be booked from Oxford or Abingdon costing approximately £20. Visitors can equally walk up from the bus stop in Wootton village, which takes approximately 30 minutes. Selected to design the profile used on the Churchill Crown after Churchill’s death in 1965, Nemon’s interest in the relief in fact went back to his beginnings as a sculptor. 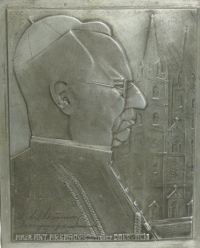 His first major public commission, awarded in 1927 when he was 21, was for a portrait of Dr Ante Aksamovic, Bishop of Djakovo. 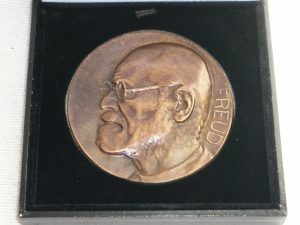 Throughout the 1920s and 1930s Nemon continued to create small 5cm portrait reliefs and medals in bronze – including Lindbergh and Freud – a selection of which are now held by the Ashmolean Museum in Oxford. During the 1930s, Nemon began additionally to experiment with figurative compositions which were moulded and drawn in clay, and then cast into plaster and painted. He continued to work on these privately after the second world war, when his public work became more focused on portraiture. Returning to the colours of the Croatian coast, and the blues and greens of the Adriatic sea, these reliefs were found in the studio at Pleasant Land after Nemon’s death, and shown to the public for the first time when the studio was open in 2003.